Russia manager Stanislav Cherchesov has omitted goalkeeper Igor Akinfeev and Lokomotiv striker Fyodor Smolov from his squad for the start of the Nations League campaign. 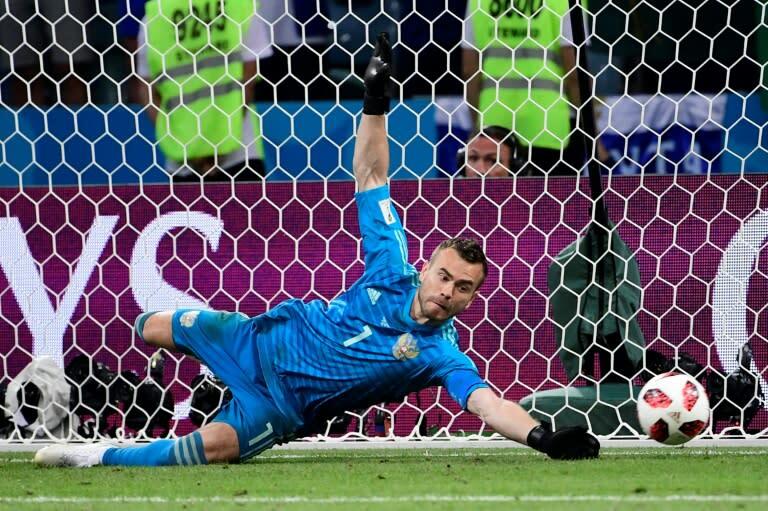 In the World Cup, Akinfeev played every minute as hosts Russia reached the last eight, while Smolov started the first match and came off the bench in the other four. Cherchesov, a former international goalkeeper, said on Monday that Akinfeev "will undergo a scheduled medical test of his knee in Germany." The coach also said he decided to give Smolov, who joined Lokomotiv Moscow this summer, time to get accustomed to his new club. "We decided not to call up Smolov as he has just found himself at Lokomotiv," the coach said. "He needs time to prove himself as an integral member of his new team." In his first selection since Russia lost a quarterfinal penalty shootout to Croatia, Cherchesov has called up 25 players for the games against Turkey in Trabzon on September 7 and Czech Republic in Rostov-on-Don three days later. Spartak Moscow full back Georgy Dzhikia, who missed the World Cup with a knee ligament injury, will likely replace Sergei Ignashevich, who hung up his boots after the match with Croatia. Cherchesov has also called up former German youth internationals Roman Neustadter and Konstantin Rausch.